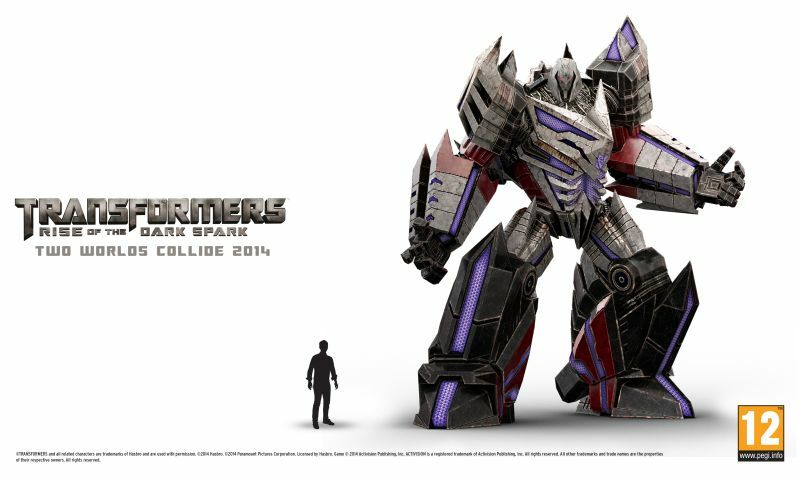 Developer Edge of Reality is set to bring back the transformers this summer in the form of Transformer: Rise of the Dark Spark, but before that Activision is releasing some new pics that show off Megatron. This game will follow the events of Fall of Cybertron as the Decepticons look to use the Dark Spark to gain an edge of the Autobots. Humans will also be making their way into the fray, and you will be able to experience the story through both sides of the narrative. 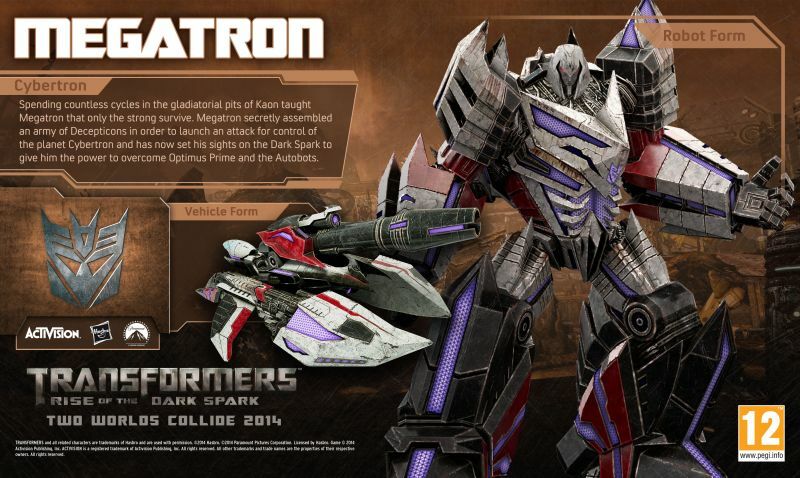 Transformers: Rise of the Dark Spark comes out this June for PlayStation 3, PlayStation 4, Wii U, Xbox 360, Xbox One and PC. Check out the new images below. This entry was posted in All, Featured, News and tagged Transformers: Rise of the Dark Spark on April 29, 2014 by Mike Guarino.